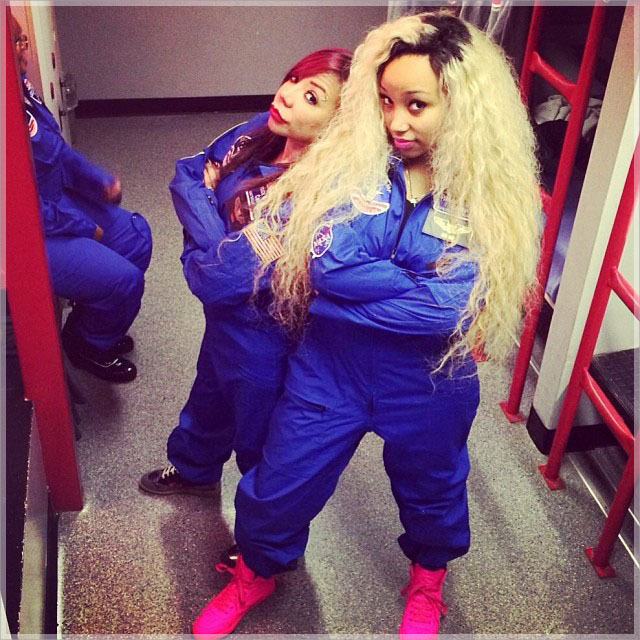 Tiny (mother): @majorgirl Zebo ther/Tiny's ex) IG unknown Zonnique (daughter of Tiny & Zebo; step-daughter of T.I. ): @zonniquejailee T.I. (step-father/Tiny's husband): @troubleman Cheryl (step-mother/wife of Zebo): @QT4Life007 Cheryl then took shots at T.I. 's and Tiny's parenting skills, insinuating that they put up a front for the cameras: "Ain't no parent of the year award being given over there until them cameras rolling." Of course Zonnique got tired of watching the battle over her, so she jumped in and traded online blows with the stepmom: She basically said to leave her mother and her step father's name out of her mouth. She said anything that is concerning her mother is none of her business. The stepmother clapped back and than closed her Instagram account. The saga continues.